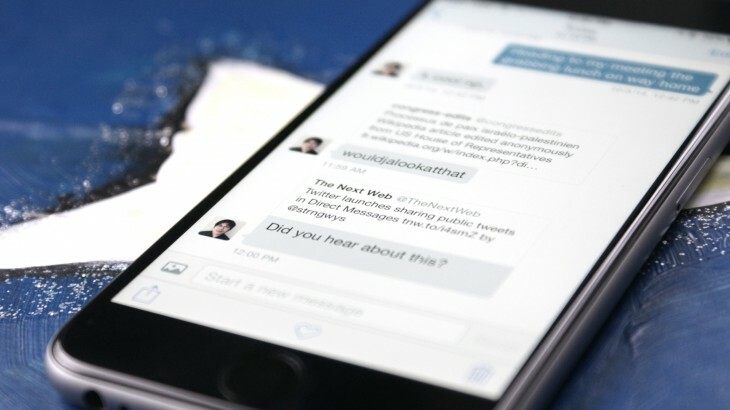 Twitter has finally added group direct messages (DMs) to its service. If you use the service as a way to privately communicate with friends, family and random celebrities, you will soon be able to communicate with more than one person (or brand) at a time. Rolling out over the next few days to all users, the group DM feature will allow users to add multiple contacts to a group chat. You can start a group chat with any of your followers, but those individuals don’t have to follow each other to participate in your chat. You’ll receive a notification when you’ve been added to a group direct message discussion. Twitter recently turned on the ability to share links with any Twitter user via a direct message. Couple that with today’s news and Twitter is clearly aiming to pit its service up against other messaging services like Messenger for Facebook, WeChat and WhatsApp. Where Twitter differentiates itself from those other chat services is that many users follow people on Twitter that they don’t necessarily know in real life. While adding a new Facebook friend means giving them access to a wealth of personal information, a Twitter follow only brings with it whatever short bio you’ve added to your profile. Plus, while Facebook is working to update its identity rule, Twitter allows anyone to create an account under an assumed identity. The social network also introduced a video capture feature to the iOS and Android apps. 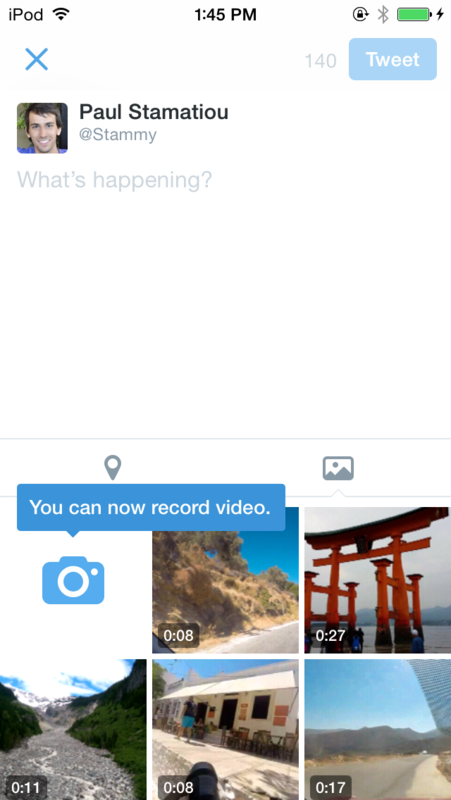 In addition to shooting video, users will be able to edit their footage directly in the Twitter app. The videos can be up to 30 seconds long and appear as thumbnails within your timeline that play when tapped on. While iOS owners will be able to import videos from their camera roll, Android owners will have to wait a little bit for that feature to be added to the platform. More people turn to Twitter to share what’s going on at events, like recent protests in the United States. Twitter’s six-second video service Vine might be great for some of those videos, but a clip longer than what Vine allows could add more context to what’s going on. The new Twitter video is a direct shot at Instagram’s video capture feature. Since Facebook cut Instagram support of Twitter cards, those images, and more importantly videos, no longer show up as inline objects on Twitter. Both services will be rolling out to users over the next few days. Correction: An earlier version of this article stated that the video capture function would be arriving later on Android. That was incorrect. The ability to import videos from the camera roll will be rolled out later on Android.